Rutledge's musical style is often compared to that of American alt-country singer Ryan Adams. His influences, both of the literary and music world, include Leonard Cohen, Hank Williams, Richard Brautigan and E. E. Cummings. In 2006, Justin Rutledge was named Toronto singer-songwriter of the year by NOW magazine. Rutledge has toured Canada, the UK, the United States and Europe, and has played shows with Kathleen Edwards, Jim Cuddy, Blue Rodeo, Hawksley Workman, Luke Doucet and Dolly Parton. His critically acclaimed lyrics are sometimes linked by music writers to his time as a university English major; he was editor-in-chief of a University of Toronto literary journal. Rutledge was born and grew up in the Junction neighbourhood in Toronto, a working class community centered around an intersection of four railway lines. He was raised in an Irish-Catholic family and grew up with aspirations of becoming a writer. To that end he studied English literature, with a major in modern poetry, at the University of Toronto. He dropped out after three years of school as his musical career got in the way. Rutledge told Maclean's in an interview that his backup plan would be to finish his university studies in English "if this music thing doesn't work." No Never Alone is Rutledge's first album. In order to pay for the recording he worked as a bartender. Rutledge has remarked that "I would often do a studio session during the day, and then head straight to work until 4 or 5 in the morning". The album earned Rutledge considerable praise, particularly in the UK, where he was compared to Ryan Adams by Comes With a Smile, who also proclaimed that "A major new talent has landed". Additional UK praise came from Uncut magazine, who referred to Rutledge as “a master of gothic understatement”, and NME describing the album as "an incredible breakthrough". It was only receiving this attention in the UK that No Never Alone was released in Rutledge's native Canada. Rutledge's second album, The Devil on a Bench in Stanley Park was released through Six Shooter Records on October 6, 2006. Devil on a Bench is actually Rutledge's second attempt at a second album; he spent a year recording his first attempt, tentatively titled In the Fall, before he scrapped it. He was unsatisfied with the album, and has explained, “I thought a sophomore album should have just a bit more of an assured sense about it. A second step forward should be a step up the ladder as opposed to just asserting your presence. You’re not just saying, ‘hey, I’m still here. You’re saying, ‘hey I’m here and I’ve challenged myself and I’ve hopefully done something that I haven’t done already.’ In order to challenge himself and create the album he wanted, Rutledge wrote a new batch of songs and recorded them in eight days with his band, opting for a more live recording style. The Devil on a Bench in Stanley Park was nominated for a Juno Award in the category "Roots & Traditional Album of the Year: Solo" and received the Galaxie Rising Star Award at the Edmonton Folk Music Festival. Rutledge's third album, Man Descending was released on April 8, 2008 through Six Shooter Records. The album is named after a 1982 collection of short stories by Guy Vanderhaeghe, also called Man Descending. Rutledge was inspired by a line from Vanderhaeghe's book, "A man descending is propelled by inertia; the only initiative left him is whether or not he decides to enjoy the passing scene." He says of the line, "It really resonated with me. As I continued to read the stories, I realized that all these characters in the book were dealing with the same kind of static or inertia in their lives. I kind of took little threads and wove them into songs." The album features guest performances by Ron Sexsmith, Jenn Grant, Catherine MacLellan, Hawksley Workman, Melissa McClelland, Joey Wright and Jim Bryson. Man Descending was longlisted for the Polaris Music Prize. Other praise for Man Descending in 2008 included the No. 5 spot on Exclaim! 's Wood, Wires & Whiskey top 10  and a nomination for Contemporary Album of the Year at the Canadian Folk Music Awards. 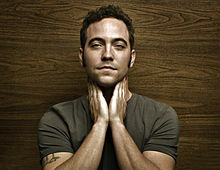 According to an interview, "Compared to 2006’s The Devil on a Bench in Stanley Park, Rutledge feels Man Descending is a much more patient, intimate and mature album, despite recording it in just three days." The songs "Alberta Breeze" and "San Sebastian" were written for In the Fall, the album that Rutledge scrapped in 2006, and were rerecorded for Man Descending. In 2009 Rutledge took part in an interactive documentary series called City Sonic. The series, which featured 20 Toronto artists, had him reflecting on his time performing at the Cameron House. The Early Widows is Rutledge's fourth album, released May 4, 2010 on Six Shooter Records. Rutledge wrote several songs with a single character in mind from author Michael Ondaatje's novel Divisadero after collaborating with Ondaatje on a theatrical adaptation of the novel. Ondaatje also co-wrote several of the songs, receiving official credit for the single "Be a Man". The album was produced by Canadian singer-songwriter Hawksley Workman (also credited as a musician on the album) and also features Canadian singer-songwriter Oh Susanna and an additional co-writer credit to Nashville singer-songwriter Darrell Scott. Valleyheart is Rutledge's fifth album, released February 2013 on his new label Outside Music. It is produced by Justin Rutledge himself. Rutledge is also a member of the band Early Winters, a collaboration with Canadian musician/producer Dan Burns, American musician Zac Rae and British singer-songwriter Carina Round. In addition to his recording career, Rutledge has also acted on stage, including in productions of Ondaatje's Divisadero and Sarah Ruhl's Eurydice. He also composed music, and worked as musical director, for a production of Max Frisch's The Arsonists. ^ a b McPherson, David (2005-02-16). "Justin Rutledge not used to all this Canadian attention". ChartAttack. Archived from the original on 2011-06-07. Retrieved 2009-08-25. ^ Liss, Sarah (2006-10-05). "The Devil on a Bench in Stanley Park". NOW magazine. Archived from the original on 2007-09-29. Retrieved 2007-06-16. ^ Hunter, Justin (2006-11-09). "A pact with the devil". Ottawa XPress. Archived from the original on 2007-09-26. Retrieved 2007-06-16. ^ Payne, Steve (2006-10-26). "Best of Toronto: music". NOW magazine. Archived from the original on 2007-09-29. Retrieved 2007-06-12. ^ "Justin Rutledge singing softly". Toronto Sun, October 5, 2006. ^ a b "Justin Rutledge". PRI's The World. 2007-07-19. Retrieved 2008-10-16. ^ "One to watch: Justin Rutledge". Maclean's, February 10, 2005. ^ McGuire, Soren (2008). "Justin Rutledge". Americana UK. Archived from the original on 2011-07-07. Retrieved 2008-10-16. ^ Ash, Amanda (2008). "Wood Wires & Whiskey: Year in Review 2008". Exclaim! (Dec 2008). ^ "Justin Rutledge Ascends". Exclaim!, May 2008. ^ "Exclusive: Toronto Singer-Songwriter Justin Rutledge Teams Up with Michael Ondaatje for Upcoming Stage Production, Begins Work on Fourth Album". Exclaim!, August 21, 2009. ^ "Justin Rutledge teams with Michael Ondaatje". The Globe and Mail, April 10, 2010. ^ a b "Justin Rutledge revisits his musical past on Valleyheart". msn.ca, February 11, 2013.